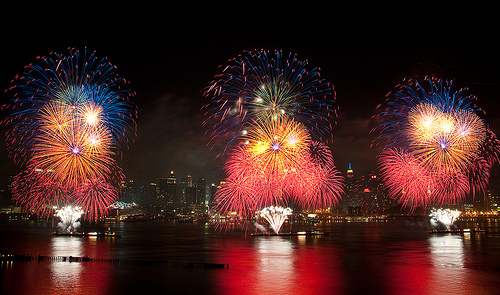 It is as American as apple pie and baseball to watch fireworks bursting into the air on July 4, and there are festivities scheduled that holiday in what seems like every city and town in the country. However, there are five cities that stand out. Mu husband and I wanted to get out of town for my birthday… But we didn’t want to spend a lot of money. And we wanted to send some time outdoors before it got too cold (even in Southern California.) Inexpensive outdoor getaway? Sounds like a job for CAMPING! We’re talking car camping, not backpack-and-powdered-food camping. We have a roomy tent, a big cooler, and a nice propane stove. Hubs made a reservation at Pinnacles National Monument (most major campgrounds take online reservations nowadays,) the site of a long-extinct volcano about 2 1/2 hours from San Francisco. Actually, it’s two-thirds of a volcano; Thanks to movement along the San Andreas Fault, the other third is still near Lancaster, where the volcano first came into being. But it felt more like being in a forest, the campground was beautiful and shady, nothing like the barren, rocky landscape we expected. We did get a little dirty, and discover we need to invest in a better air mattress… But Pinnacles National Monument was such a wonderful place to find some peace and tranquility, we’ll definitely be back. That’s not me, but that’s what I looked like! 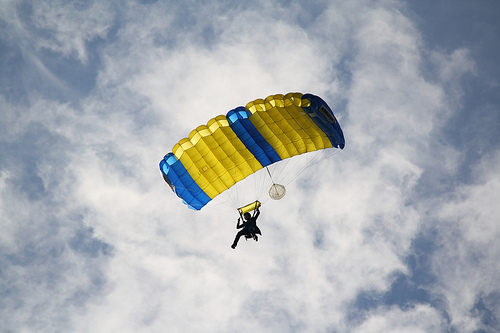 Last Christmas, a good friend casually said she wanted to go skydiving for her 40th birthday. I said I’d go with her. 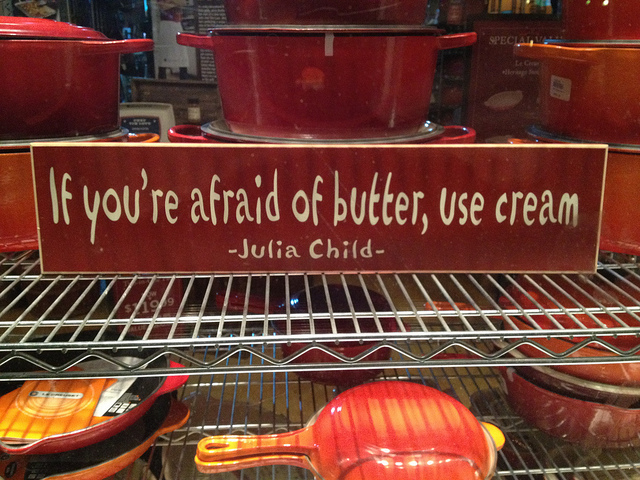 5 Ways to Celebrate Julia Child’s 100th Birthday! Food is all the rage on television these days, with multiple channels and countless shows devoted to cooking, eating, and just plain ogling. But the original Grand Dame of cooking shows can’t be beat – Julia Child. She’d be 100 on August 15, and we can’t think of a better reason to celebrate! But you don’t have to bust out a coq au vin to honor her… Here are some ideas for the ambitious, the lazy, and everyone in between. Good news for you double-coasters… Beginning mid-May, United will offer nonstop service between Reagan Washington National and San Francisco International Airports. Read on, and happy travels!